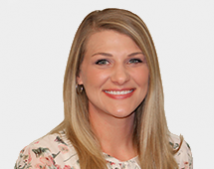 Originally from Chattanooga, TN, Board-Certified Family Nurse Practitioner Jessica Lane received her Bachelor of Science in Nursing from East Tennessee State University in 2013. After working as an RN for a number of years, Jessica earned her Master of Science in Nursing from King University in 2018 and began work as a Family Nurse Practitioner in Pediatrics at Medical Care in July of that same year. Jessica has been happily married to her husband Kelly since 2015. Together they enjoy playing golf, tennis, going running, and being active in their local church community. Fall and Christmas are her favorite times of year. In her free time, Jessica enjoys working on various home improvement and interior design projects. Jessica Lane, APN, is now accepting new pediatric patients at Medical Care in Elizabethton.